Lovely! And congratulations! We will stop by in later July. Looking forward to meeting all of you in person. Great sign! I’ll definitely come by. LOVE the sign!! 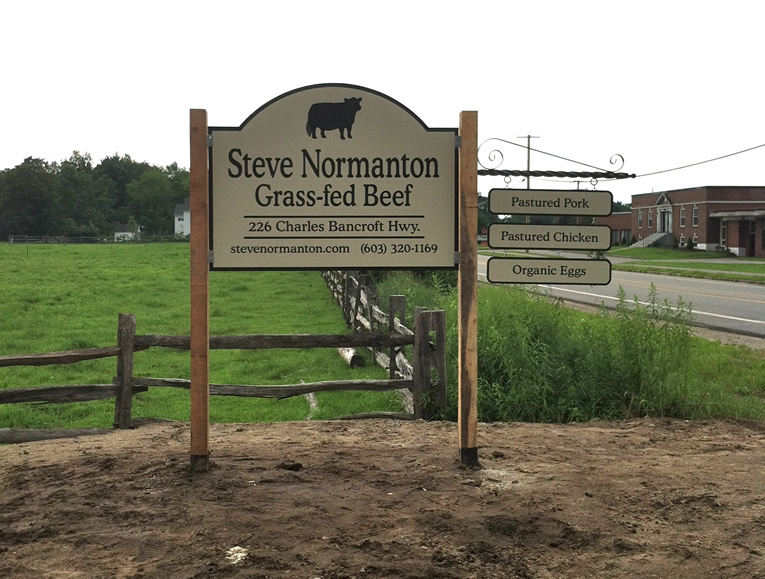 So happy it is posted- now people will know about the farm. Looks great ! Just drove by yesterday and saw it! Love it! Makes it so easy to find you now! Great! Will we be able to buy meat and vegetables then as well? We have a few cuts of grass-fed beef and pastured pork available, but I think we may be sold out of chicken and vegetables (through subscriptions). on July 17, 2013 at 11:59 am | Reply Monika F.
I am hoping to do an open house day in August sometime, so I will post on our website when we have decided on a date! on July 22, 2013 at 12:13 pm Monika F.
I’ve already spread the word about farm- so happy that you are here!